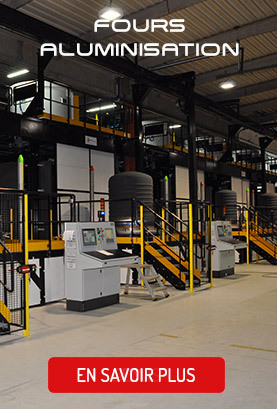 Within the framework of its numerous developments, SERTHEL INDUSTRIE specialized itself to meet the most complex needs of the thermal treatment industry. 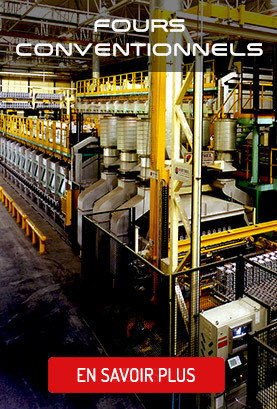 For instance, as shown on the picture above, a processing line for the production of engine shafts with extremely rigorous thermal cycles. 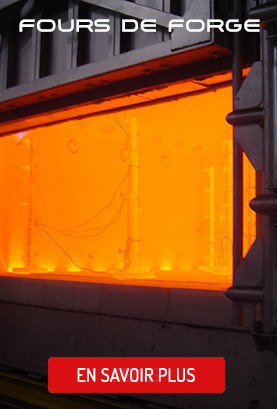 Whether it is for hot cycles of austenitization and tempering, for still or forced-air cooling cycles or even for cryogenics quenching cycles, our objective is to respect the metallurgical imperatives meanwhile optimizing the selection of the furnace able to welcome the loading. This is the kind of automated workshop that we have. 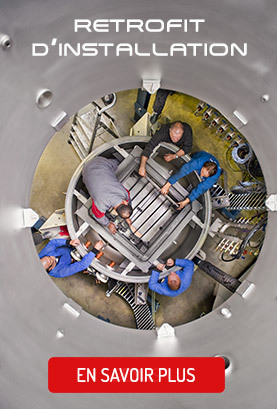 A workshop in which we have a total control from the first loading phase of the mechanical pieces to the final installation once the treatment accomplished. From the sequence management to the mechanical actuators supervision (tippers, tripod clamp, manipulating deck, etc …), we fully control all the processes internally. 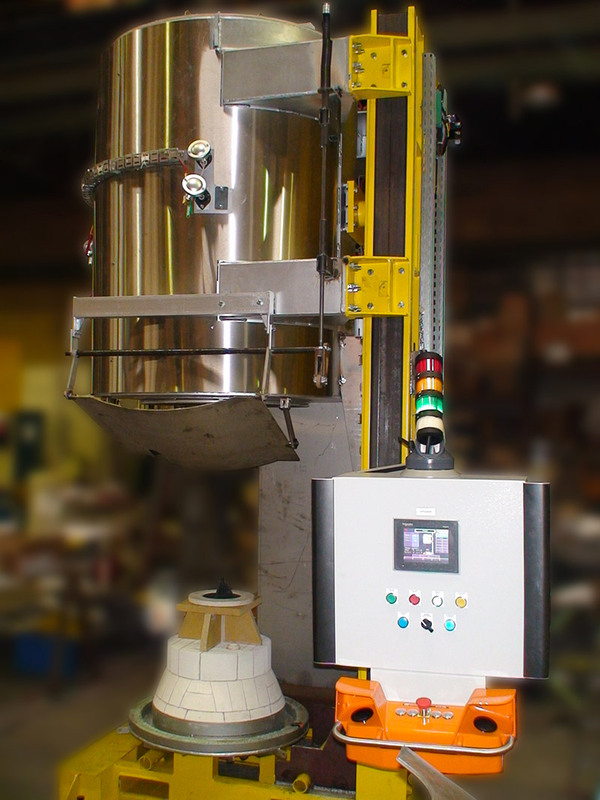 Another example, as shown in the picture above, would be the manufacturing of small furnaces for the preheating of high temperature molds. 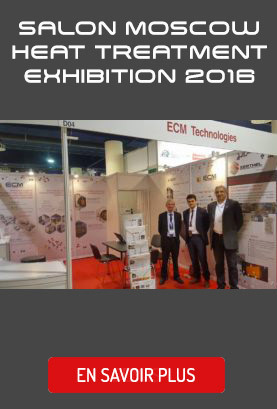 Those pieces are aimed to ensure a high flexibility in the production process as well as a great thermal homogeneity. Furthermore, those entities are adaptable in order to allow under gas debinding processes or other high-precision thermal technics. 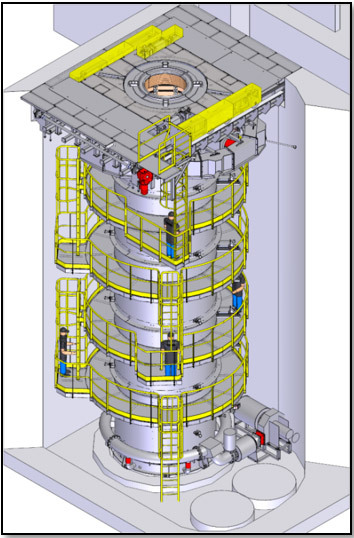 On another scale, the study and manufacture of specific equipment such as this very deep vertical furnace (12.5 meters) for the treatment of long shafts with an accuracy class of +3/-3 °C.